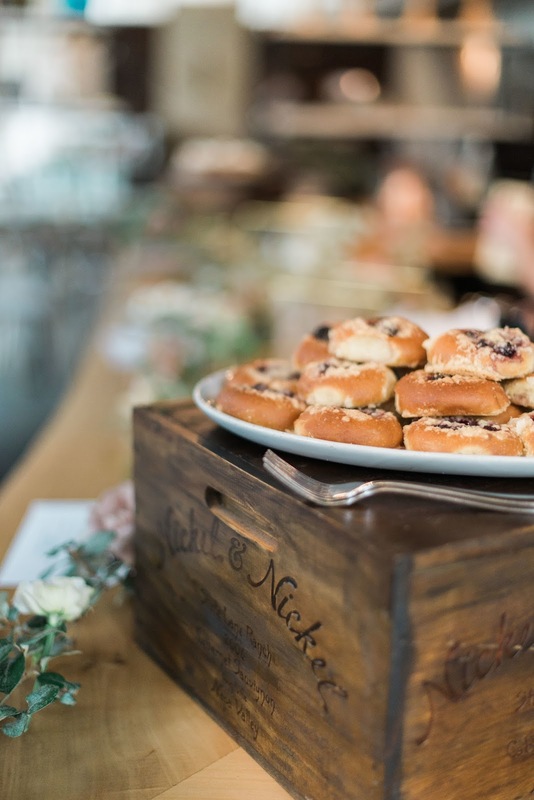 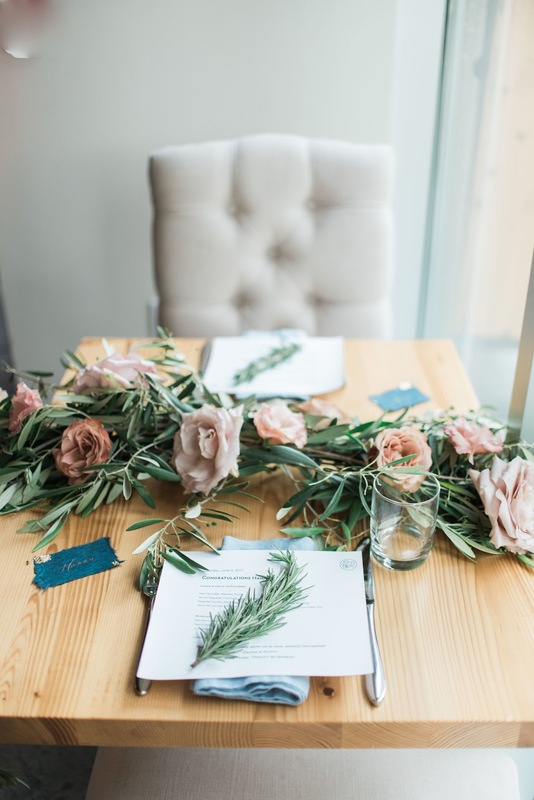 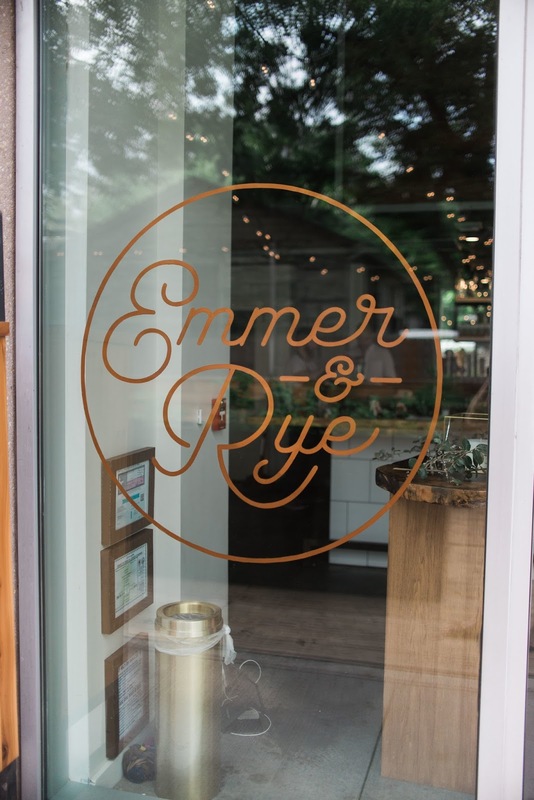 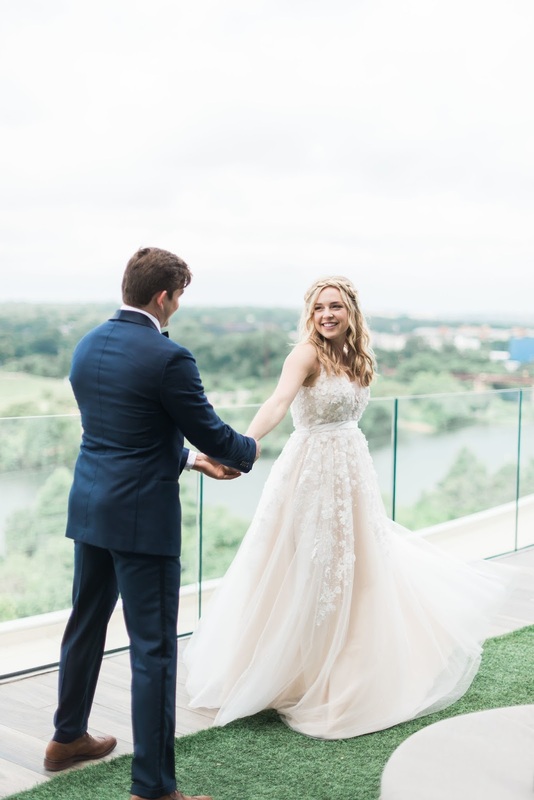 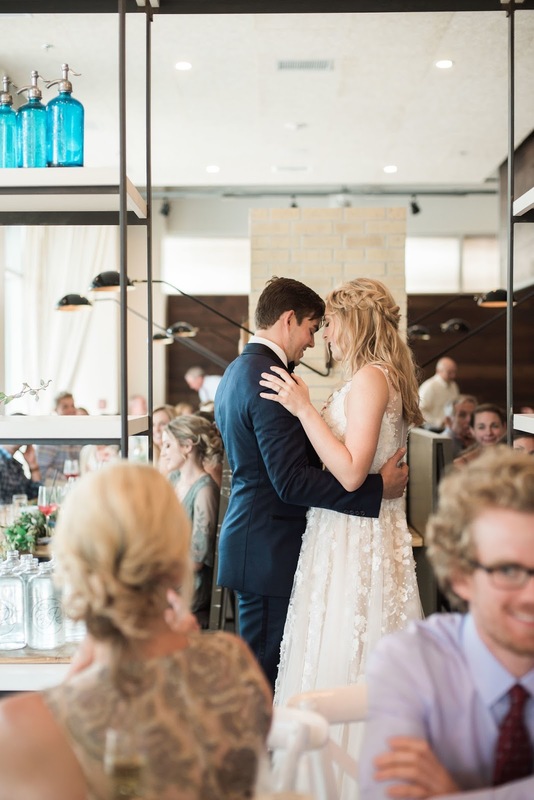 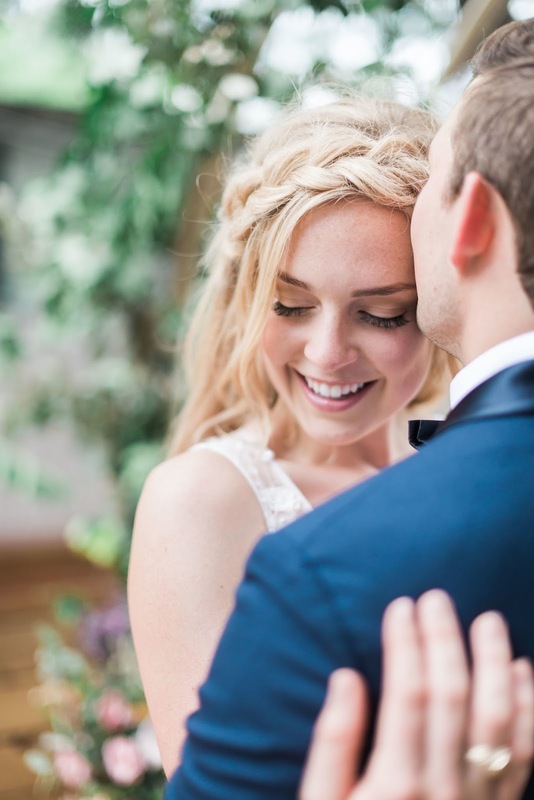 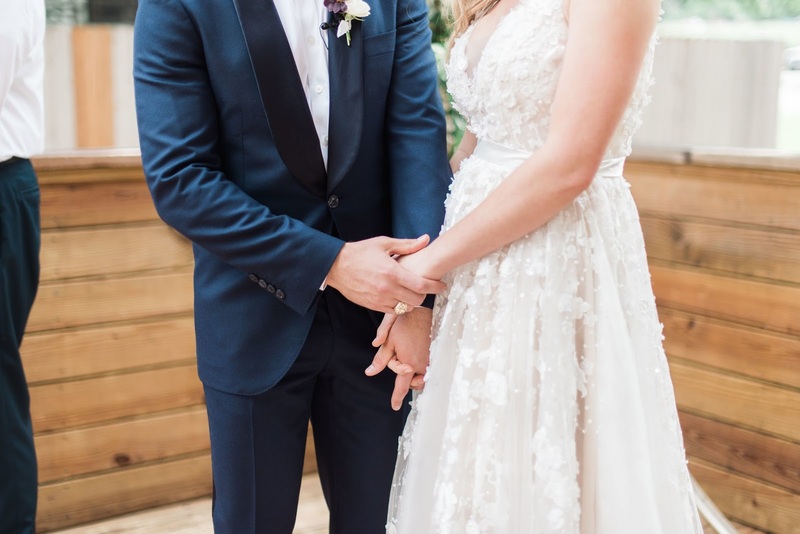 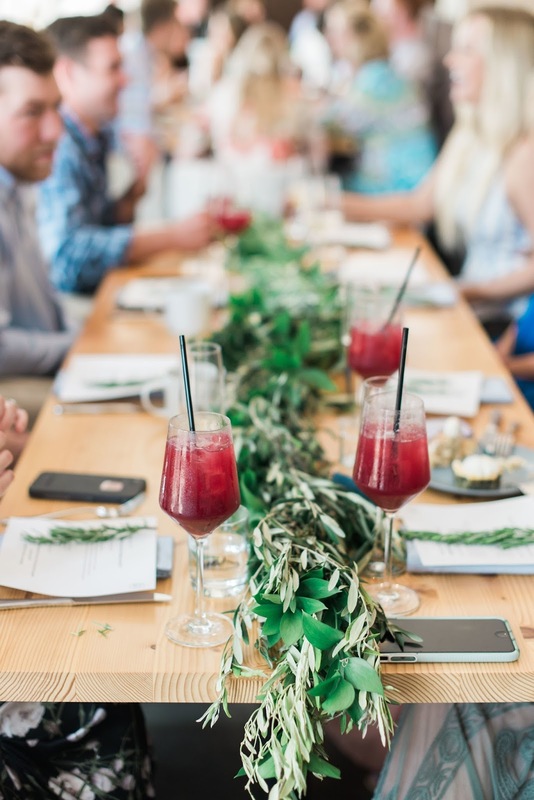 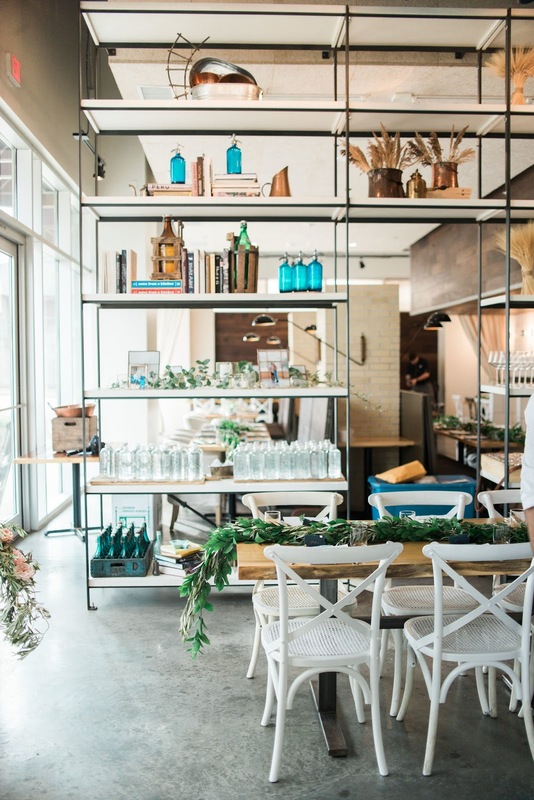 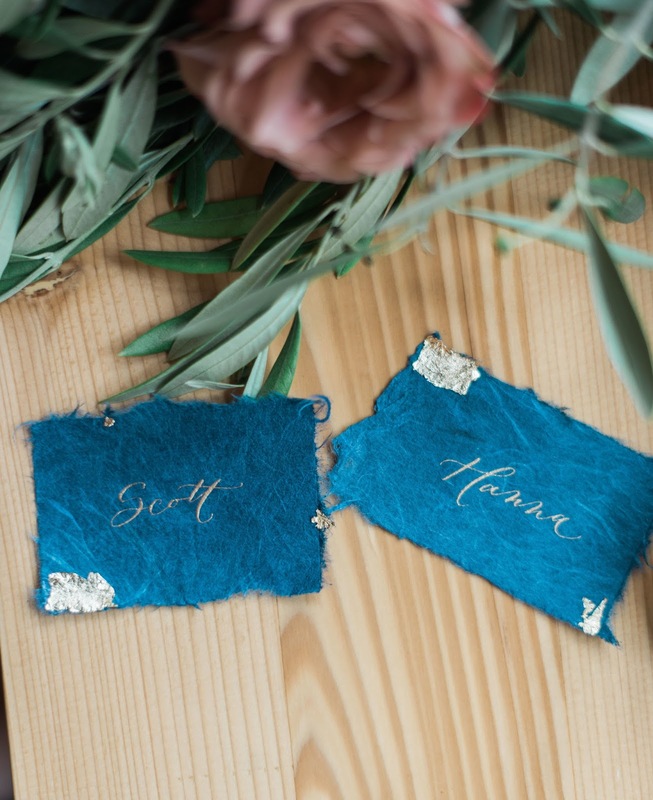 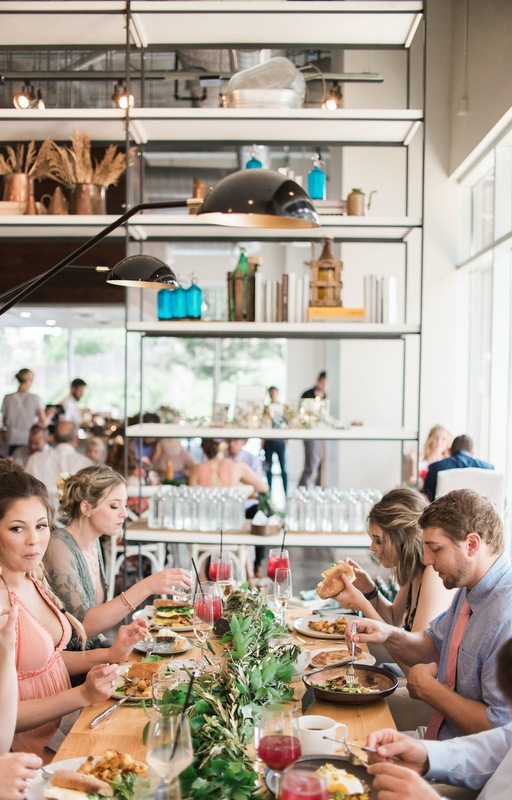 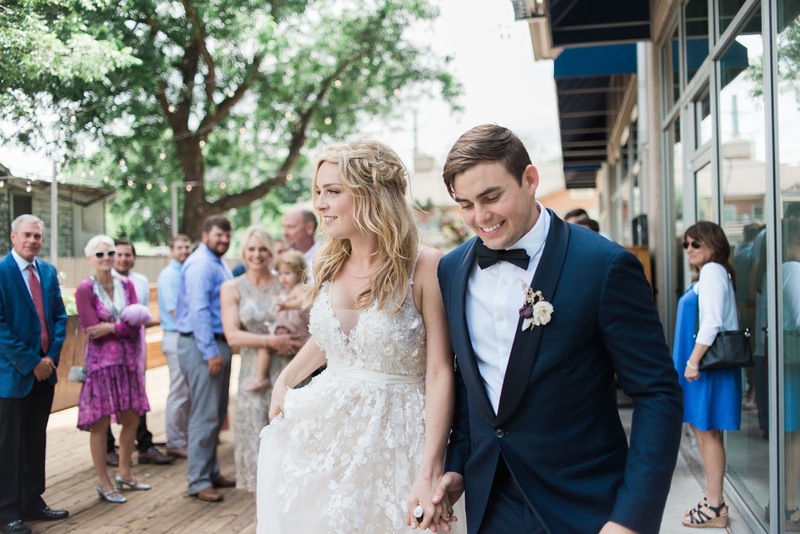 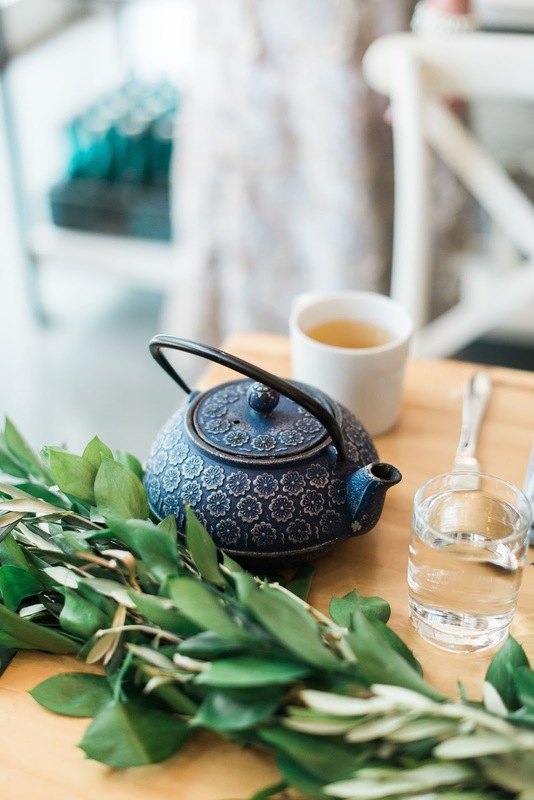 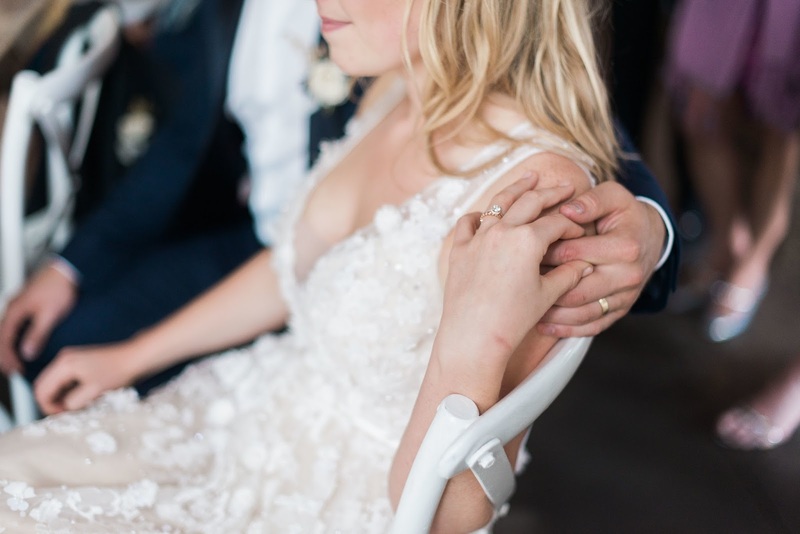 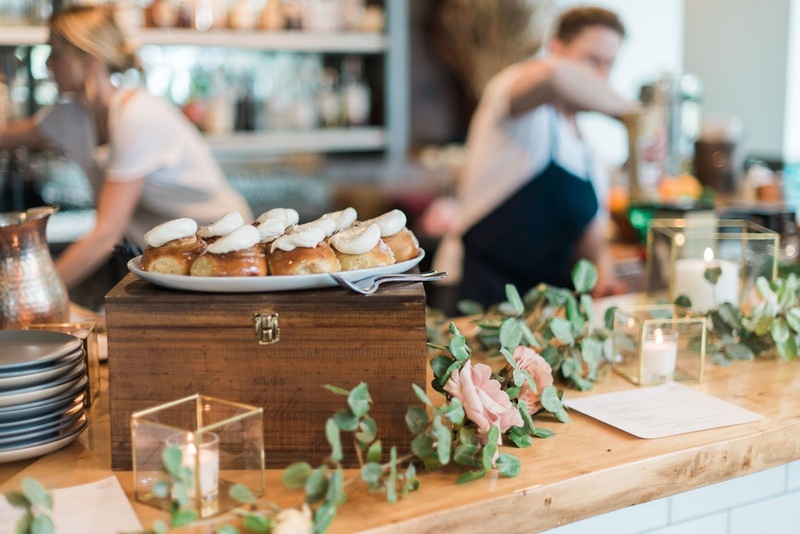 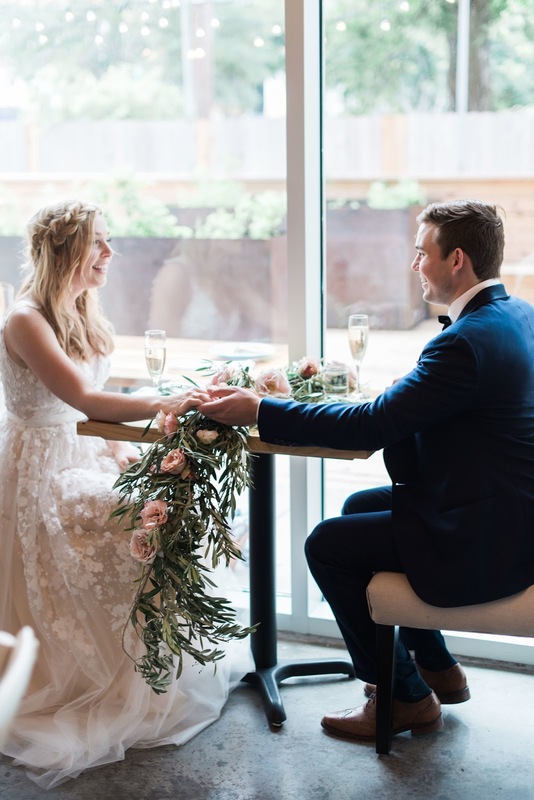 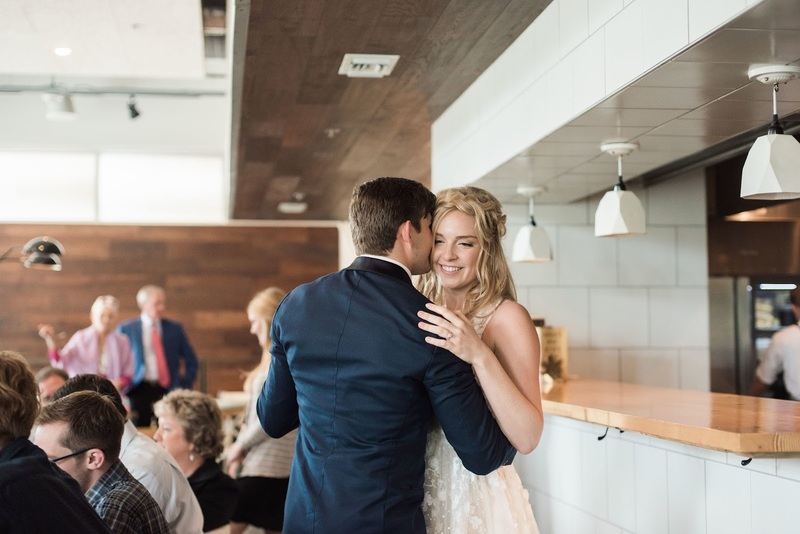 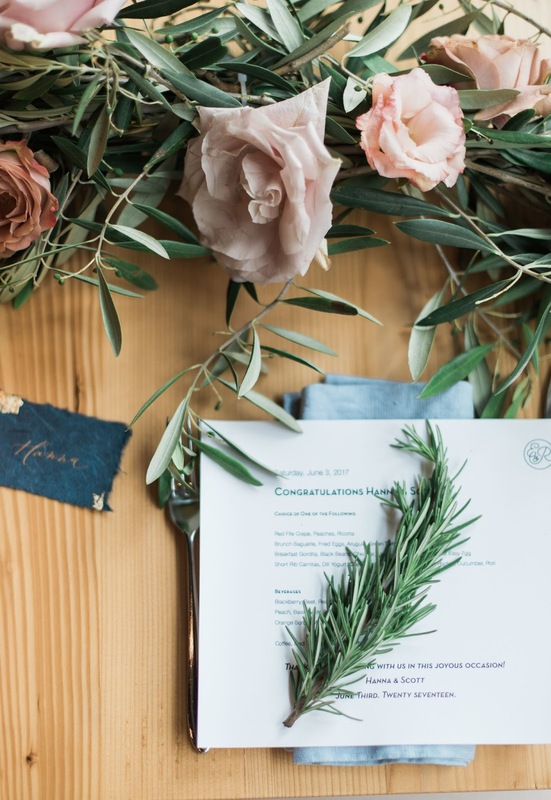 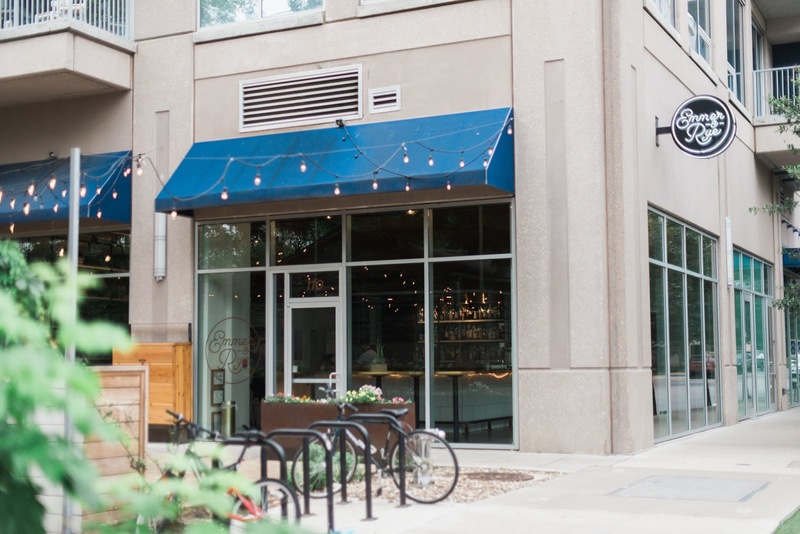 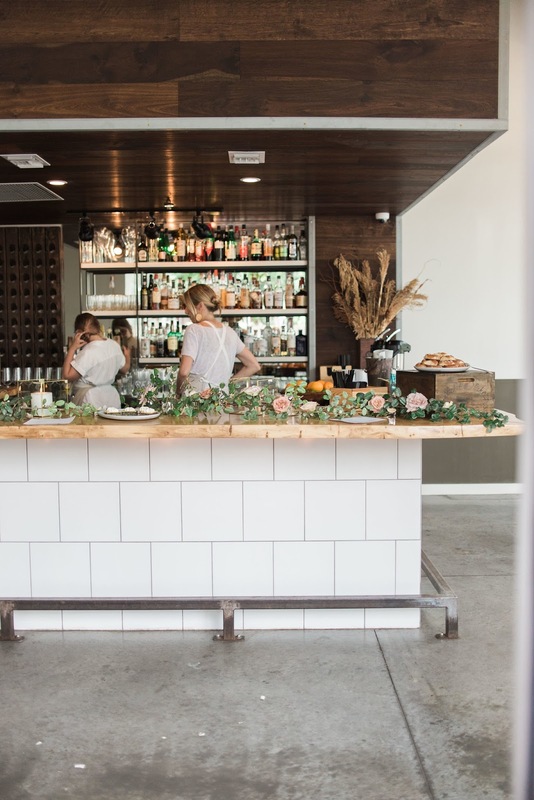 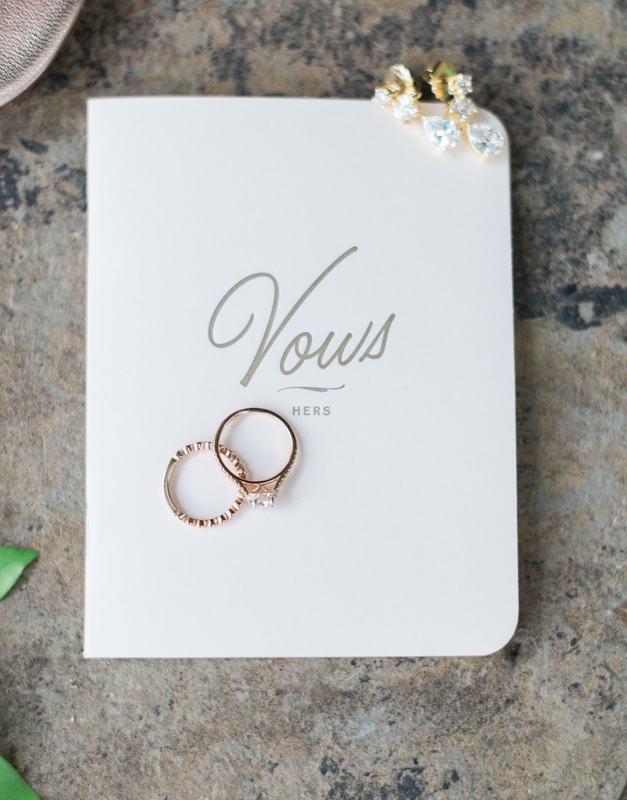 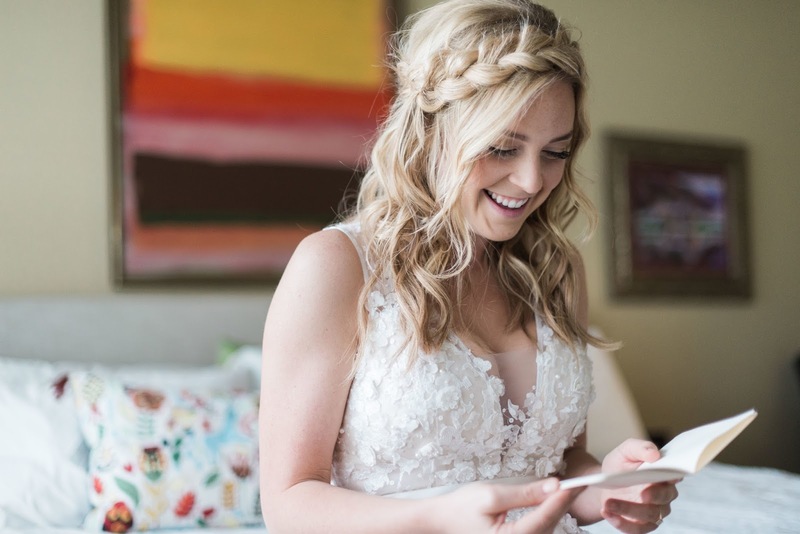 Our brunch wedding at Emmer and Rye was meant to be an expression of our simple, yet profound, view of marriage. 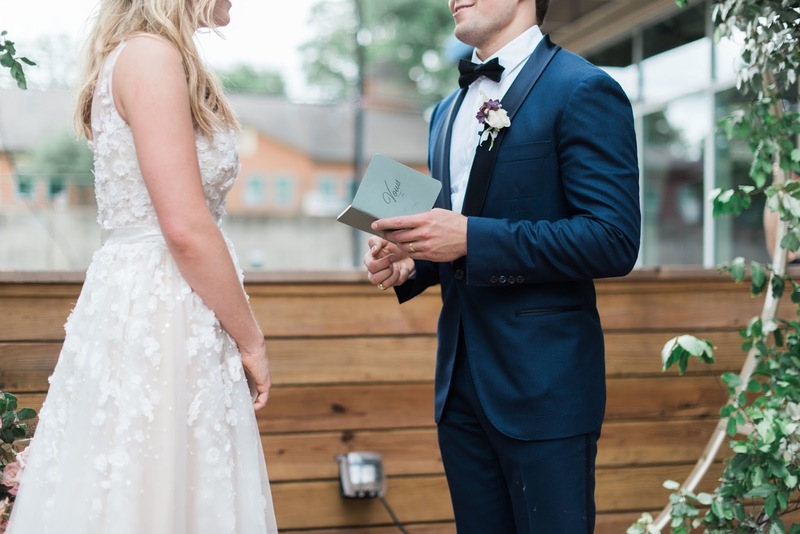 We designed our ceremony around what felt most like us. 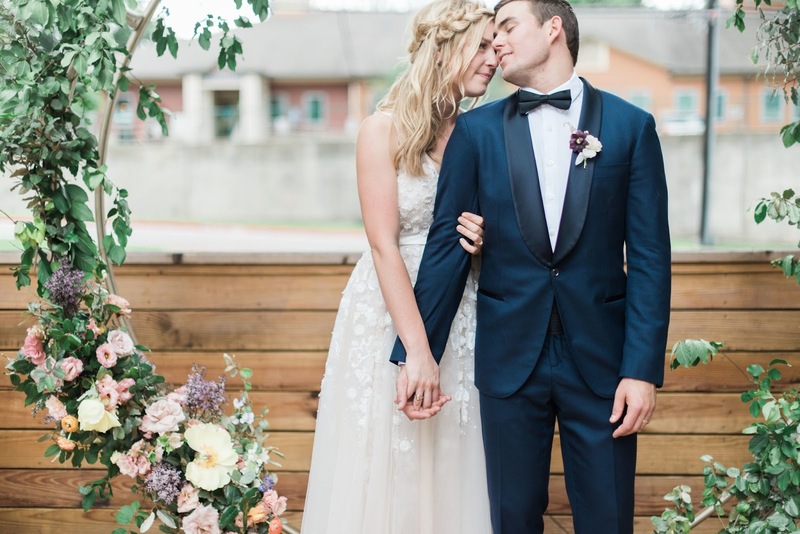 Displaying our desire to live simply, be intimate with our people, enjoy this beautiful life, and live passionately. 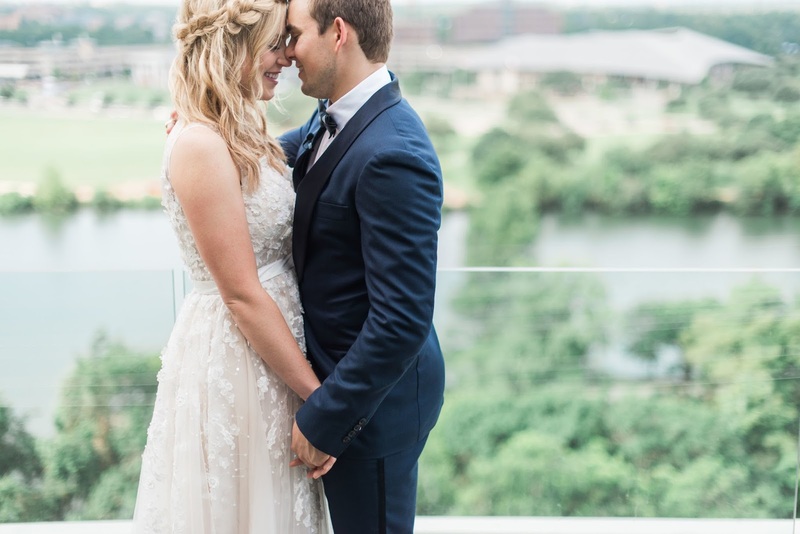 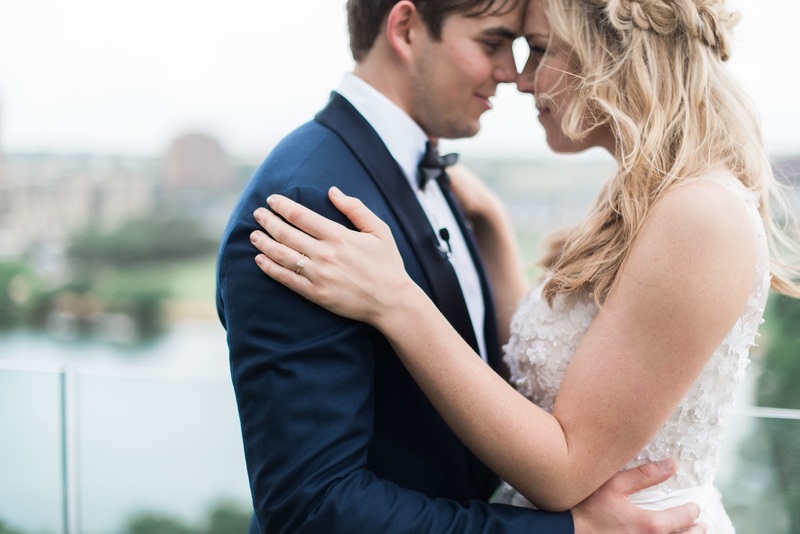 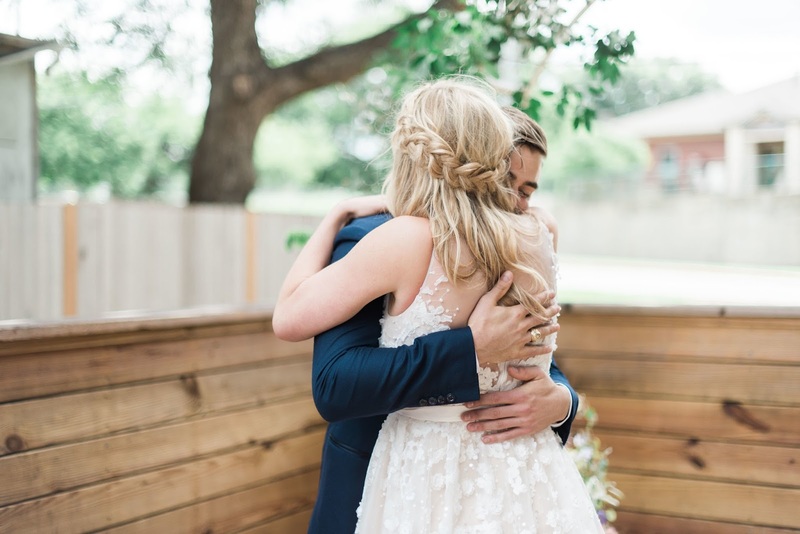 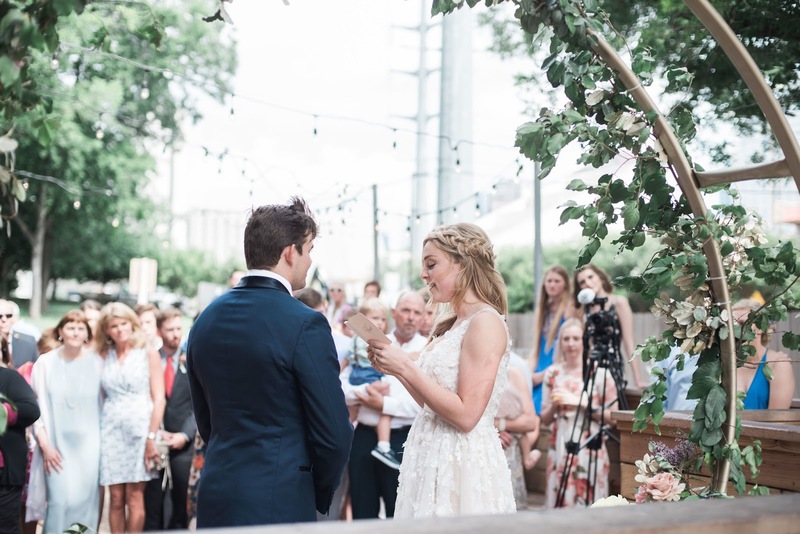 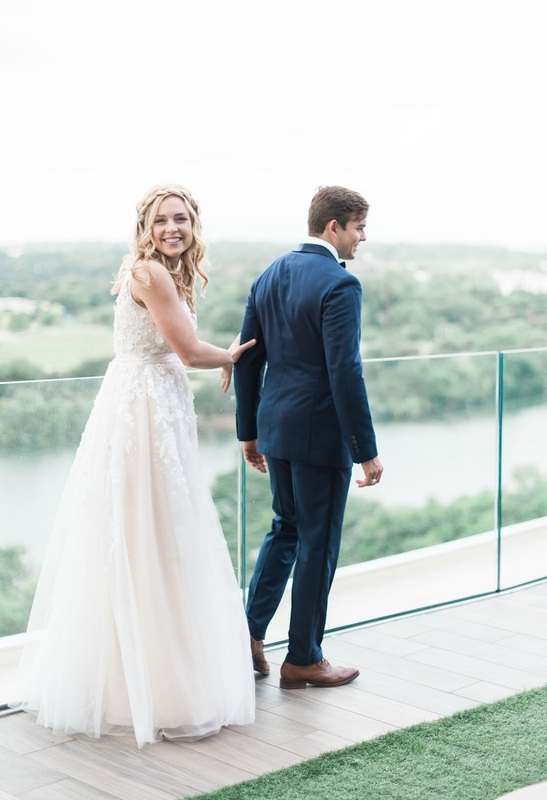 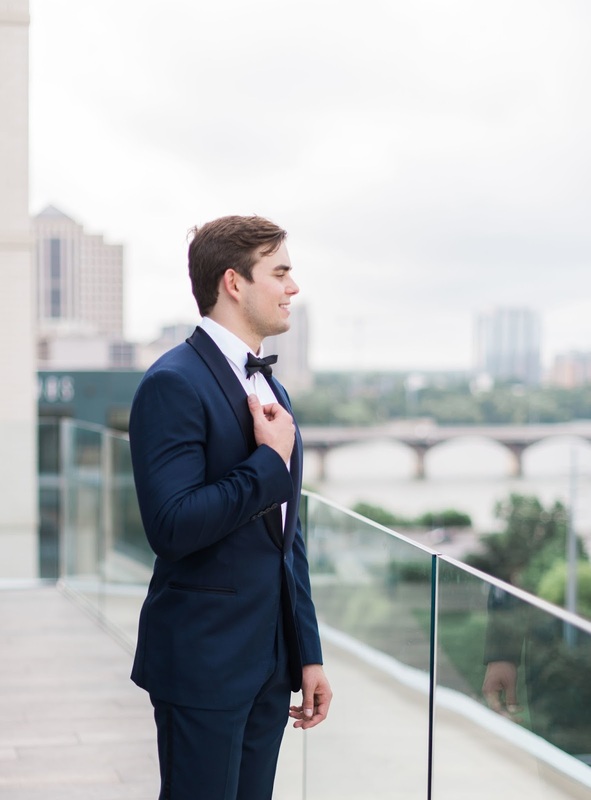 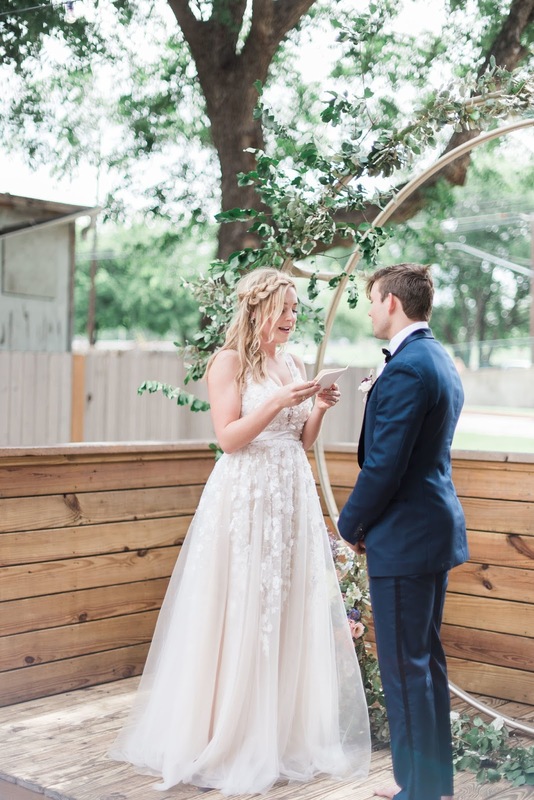 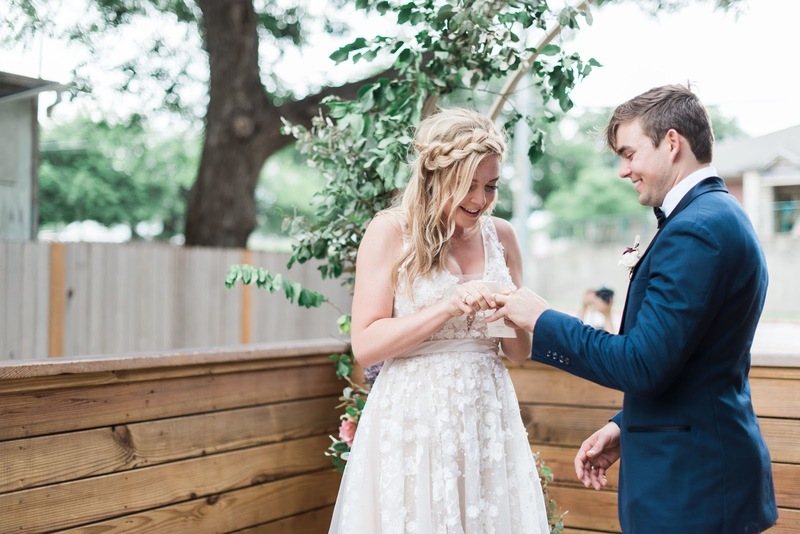 We chose to have an informal, brunch ceremony on the porch of our favorite restaurant in Austin, Texas; Emmer & Rye. 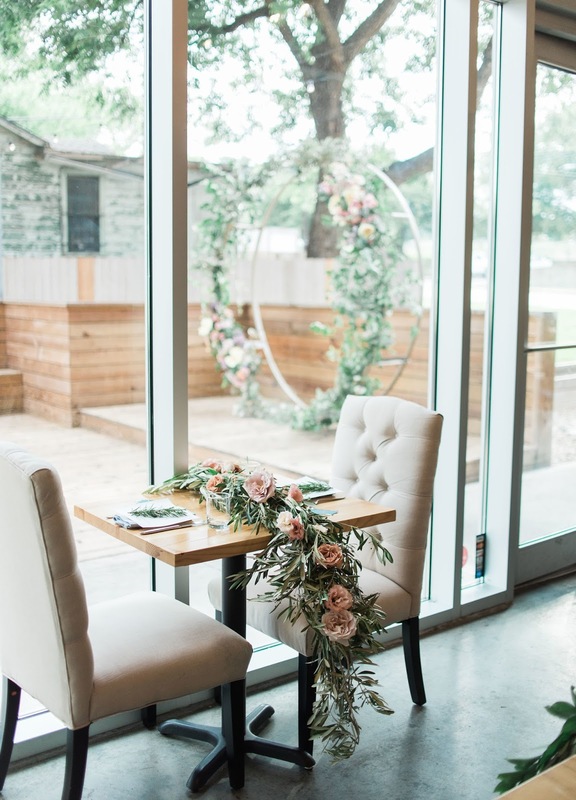 A morning marriage, a union with each other and God, followed by sangria and the best pastries and breakfast gorditas you have ever had in the company of the ones who promise to love and support us always. 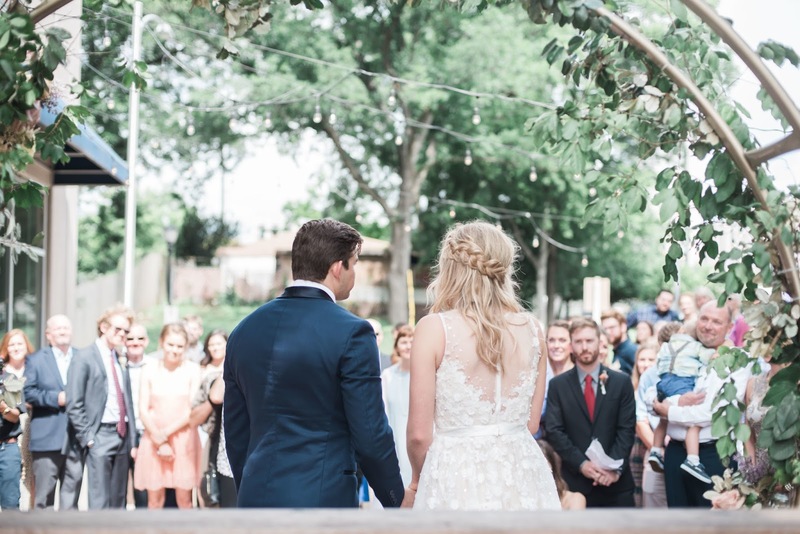 We incorporated a few special people from both of our lives to play a role in our ceremony. 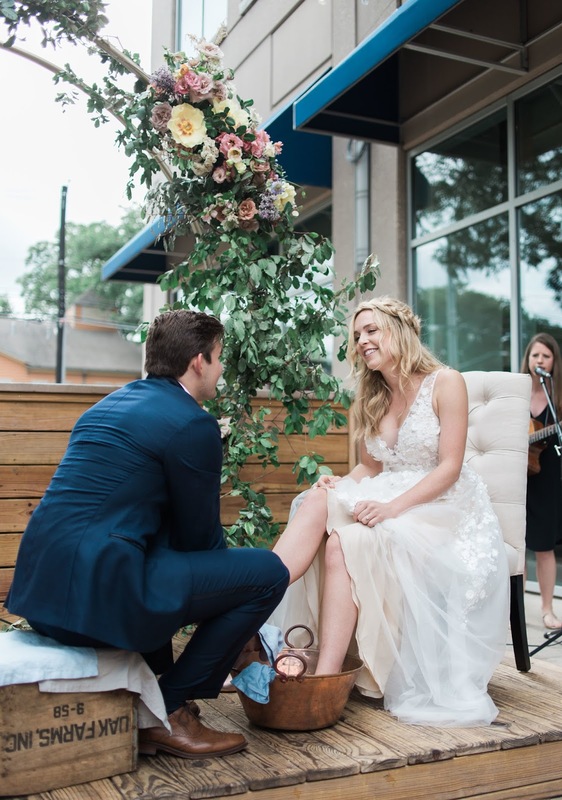 After we washed each others feet, we had our friends serve us communion during the ceremony while my sister gave me Scott’s ring and Scott’s best friend blessed our vow exchange. 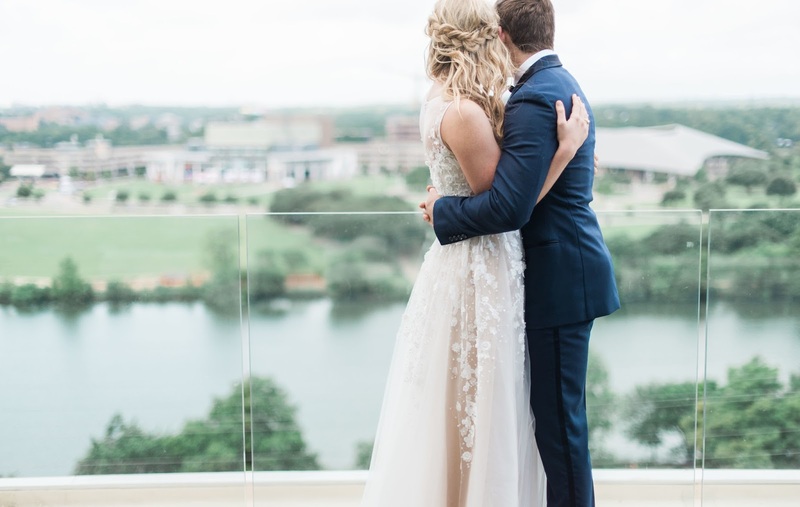 It was a morning full of deep joy, love, and simplicity in celebrating this gift of a beautiful companionship between us two. 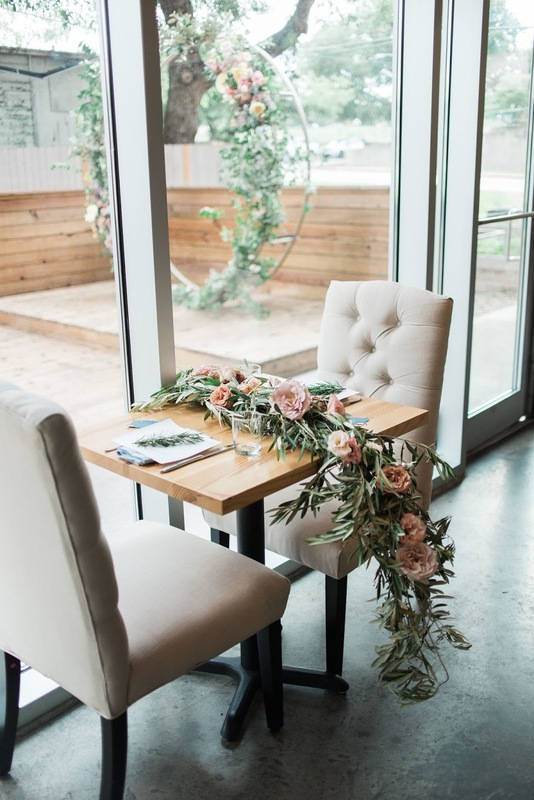 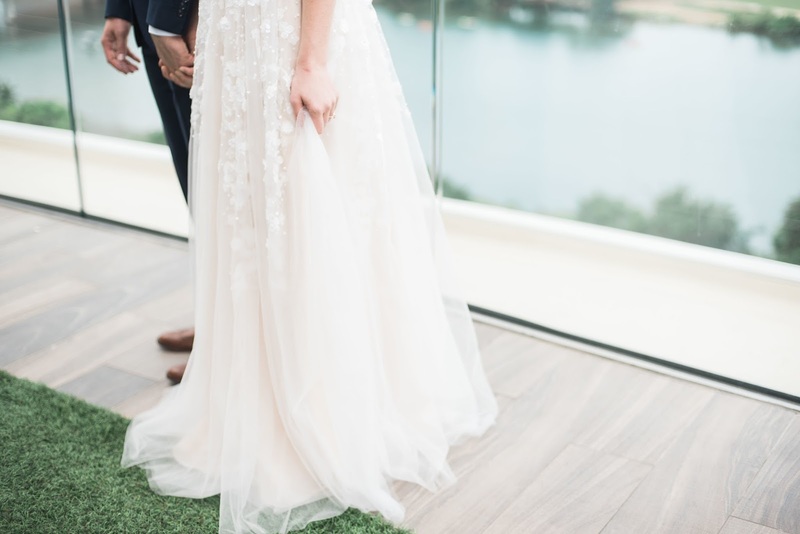 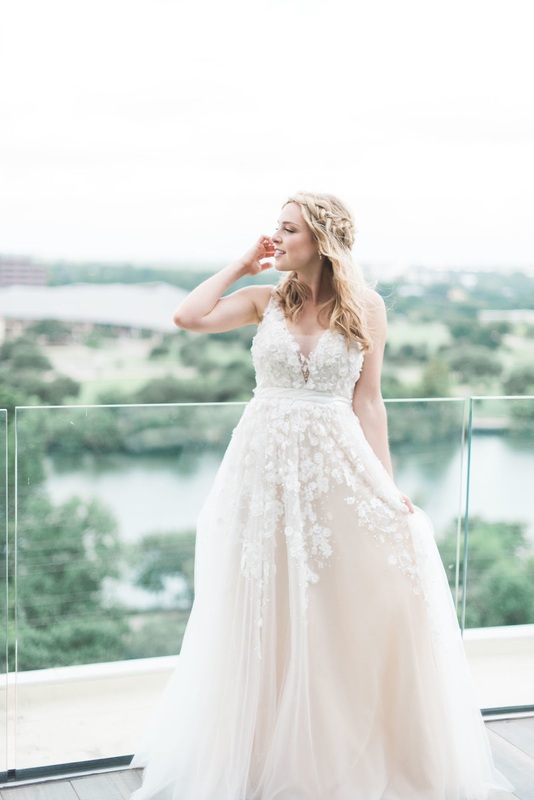 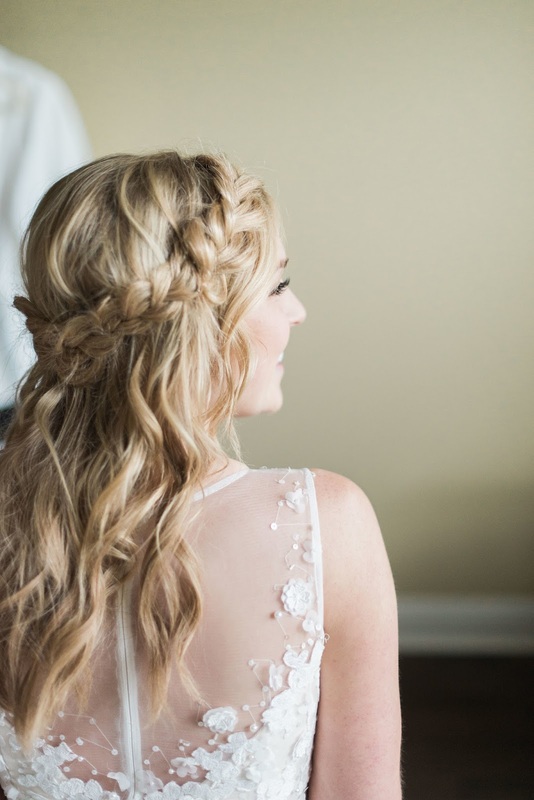 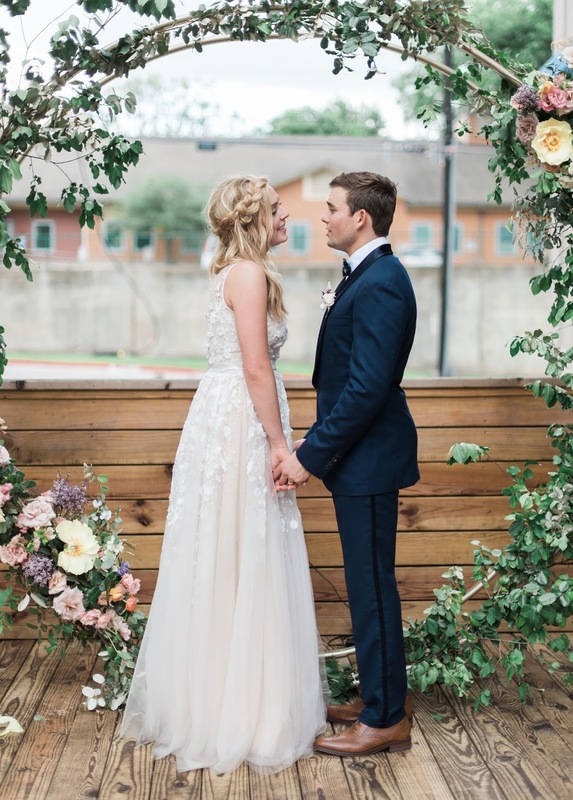 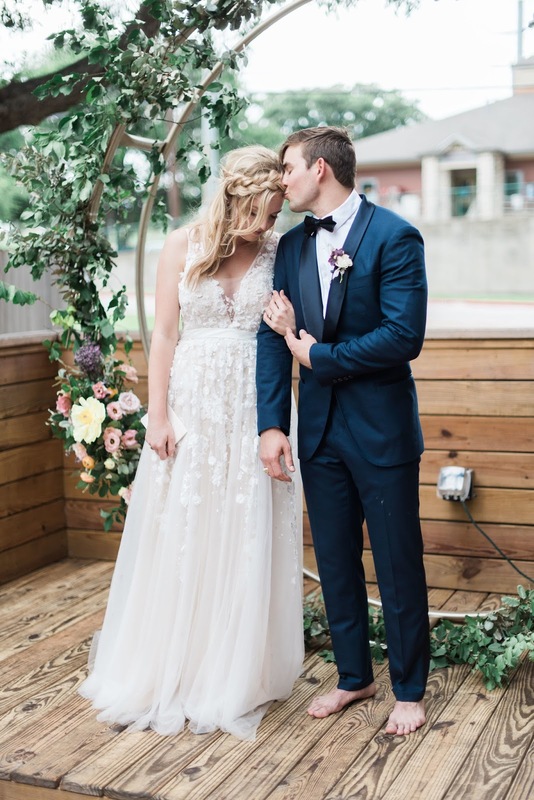 Photography: Madeline Harper, Florals: Yellow Thistle Designs, Videographer: Reverent Media, Venue: Emmer + Rye.